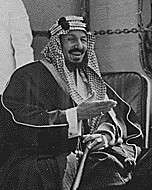 Hathloul bin Abdulaziz Al Saud (1942 - 29 September 2012) was a senior prince of the House of Saud, and a member of the Kingdom of Saudi Arabia's Allegiance Council. Prince Hathloul was born in 1942. He was one of Ibn Saud's sons. His mother was a Yemeni woman, Saida al Yamaniyah. In August 2009, the Washington Institute for Near East Policy identified him as a potential successor to King Abdullah of Saudi Arabia. In 2012, Foreign Policy identified him as one of four potential heirs apparent after Crown Prince Salman bin Abdulaziz. However, it added that he was much less well-known than the other three candidates. He served as president of Al-Hilal FC three times. In a statement by the Royal Court, it was announced that Prince Hathloul had died abroad on 29 September 2012. His body was taken to Jeddah on 30 September 2012. Funeral prayers for him were held on the same day at the Grand Mosque in Mecca. King Hamad bin Isa Al Khalifa and Bahraini Prime Minister Prince Khalifa bin Salman Al Khalifa sent a cable of condolences to King Abdullah bin Abdulaziz Al Saud and Crown Prince Salman bin Abdulaziz Al Saud on the demise of Prince Hazloul bin Abdulaziz Al Saud. ↑ "Hathloul that I had known". Alriyadh. 3 October 2012. Retrieved 8 August 2013. 1 2 3 "After King Abdullah" (PDF). Washington Institute for Near East Policy. August 2009. Retrieved 7 June 2012. ↑ Stephens, Michael (18 June 2012). "The Underestimated Prince Nayef". Foreign Policy. Retrieved 19 June 2012. ↑ "Presidents of Al Hilal". Al-Hilal FC. Retrieved 7 June 2012. 1 2 "Prince Hadhloul Bin Abdulaziz passes away". Saudi Gazette. 30 September 2012. Retrieved 30 September 2012. 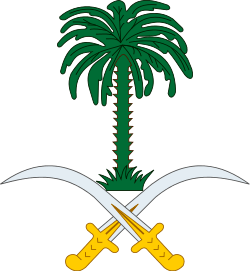 ↑ "Body of Prince Hazlul bin Abdulaziz Arrives in Jeddah". Saudi Press Agency. 30 September 2012. Retrieved 2 April 2013. ↑ "HRH the Prime Minister sends cables of condolences to Saudi leadership". Bahrain News Agency. 30 September 2012. Retrieved 30 September 2012. ↑ "HM King Hamad Sends Condolences to Saudi Leaders". Bahrain News Agency. 30 September 2012. Retrieved 30 September 2012.